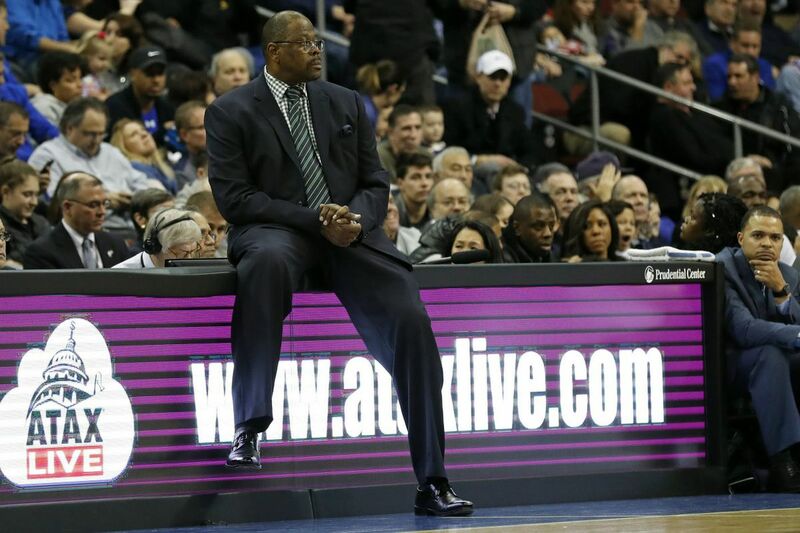 Patrick Ewing is in his first year as Georgetown’s head coach. Coaches: Jay Wright, 18th year at Villanova (524-247, 402-162 with the Wildcats); Patrick Ewing, first year at Georgetown (12-5). Last meeting: Jalen Brunson had 17 points and Mikal Bridges scored 12 as the Wildcats won 81-55 in Washington. The latest: The top-ranked Wildcats (16-1, 4-1) got six three-pointers and 25 points from Donte DiVincenzo in a 78-71 win at St. John's. … Villanova had one of its worst games on offense, shooting 43.4 percent and committing 17 turnovers. Conversely, the Wildcats played strong defense and rebounded. Freshman Dhamir Cosby-Roundtree has made his last 15 field goal attempts. … The Hoyas (12-5, 2-4) lost 74-61 at Seton Hall. Georgetown (12-5) rode a creampuff non-conference schedule to a strong start but is 2-4 since Big East play started. Junior center Jesse Govan leads with 17.3 points and 11.4 rebounds per game. Georgetown leads the Big East in rebounding. The Hoyas have lost six straight to Villanova. The last time Ewing faced 'Nova was the 1985 NCAA Championship game.